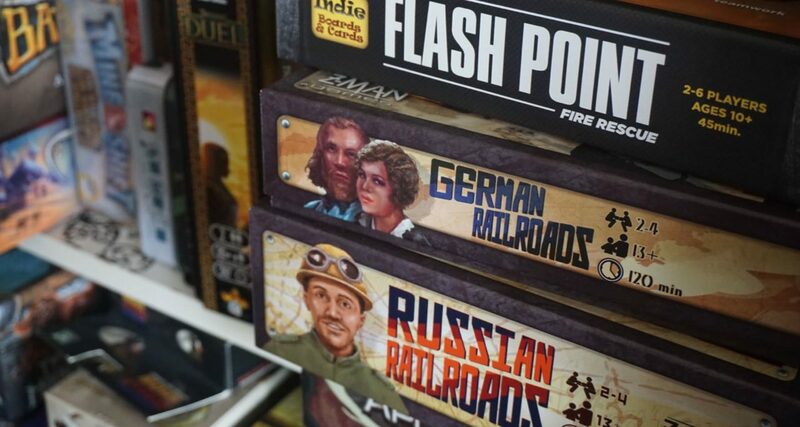 I continued playing and buying boardgames fairly regularly, but things really opened up in the last two years when our son turned old enough to play more involved strategy games and then we discovered “The Dice Tower” and “Rahdo Runs Through.” Seeing how things have changed since I started, my wife and I have gone “all in” into things. We mean, all in. Suitably inspired, I began posting mini-reviews of games we played on Facebook to both track our plays and to have some fun remembering what the game was all about. I have now collected enough of these mini-reviews that I thought it would be fun to make them into a blog. And here we are. Please look around, leave a comment, leave a suggestion, and enjoy! I’m open to new ideas, tweaks, and even new directions. Special thanks to Bryan K. Williams for all the technical support. Couldn’t have done it without him! Or just leave a note here.